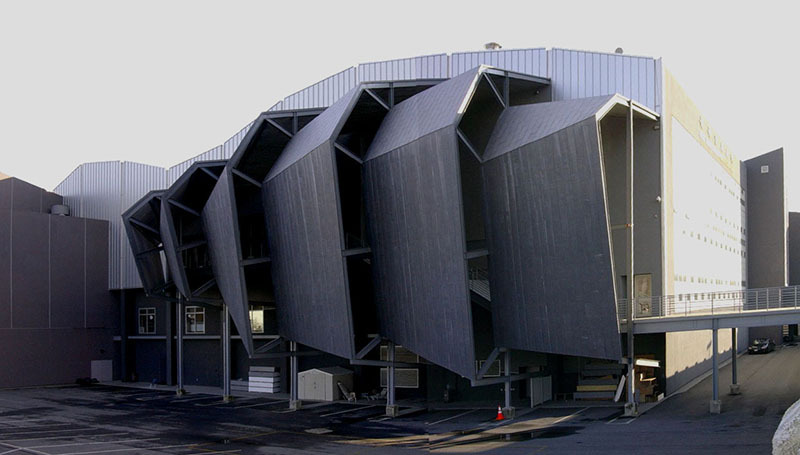 Korean Presbyterian Church, as it's also known, is the transformation of an old laundry factory into a church by Greg Lynn, Douglas Garofalo and Michael McInturf. Although it was completed in 1999 and I've lived in the neighborhood for eleven years, I've yet to go inside. Now I have a perfect excuse. 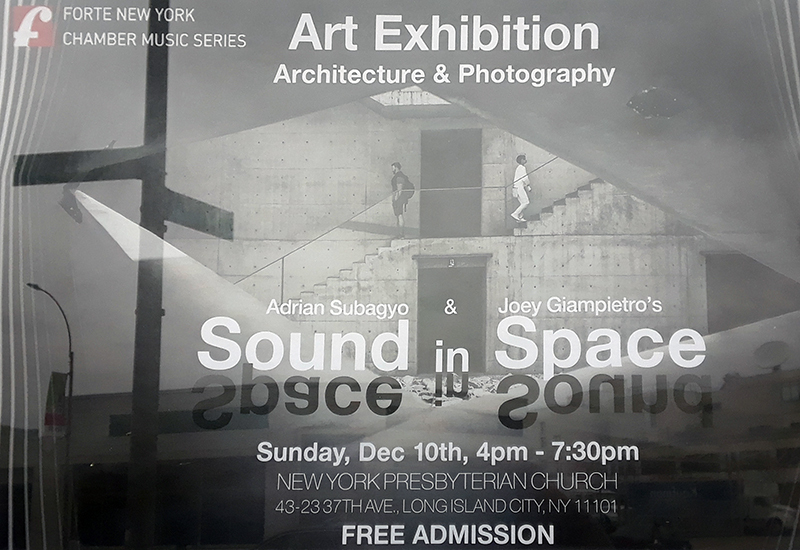 Space in Sound is an exhibition that critically engages with the relationship between objects and the space in which they inhabit while questioning many of our preconceived notions concerning sound and space. Humans primarily perceive sound empirically, as sonic waves vibrate through particles in the open air and reach our ears, we are given an abundance of information both qualitative and quantitative about our surrounding context. Sound also propagates equally through material via physical vibrations. Our perceptive systems are not trained to detect sound materially and as a result our engagement with sound is severely biased. Objects engage with their sonic environment through feeling. It is in this feeling of sound that vibrations are physically transferred from material to material or object to object, all of which are spaces. Access into this world, and that of a flat ontology, can be achieved through the use of contact microphones and amplification. In the exhibition on display there are several devices that gives the human (user) the capability to feel sound or hear sound as objects do, listen to intrinsic spatial qualities of an object, or listen to an active dialog happening internally between a set or family of objects and their immediate spatial context.